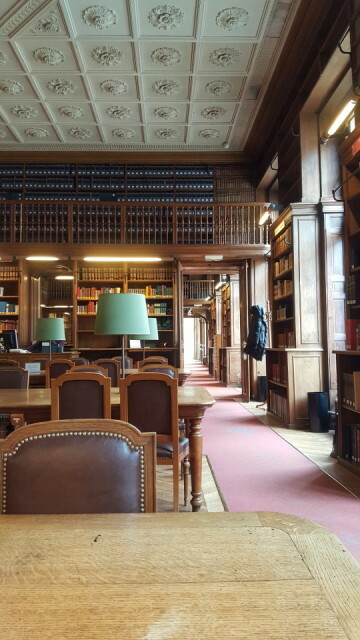 I had a productive Saturday reading at the Bibliothèque de l'Arsenal. It was virtually empty, especially in the morning, but I was pretty surprised that the reader sitting in the same row as me was munching on what I think were M&Ms! The posters of large insects that I remember seeing in the libraries at U of T during my undergrad have made me completely against eating in libraries, though I know rules have relaxed about that. Still, in a rare book library? Ok, rant over... I like working at l'Arsenal. The walk there and back from my apartment is a nice one too, across Ile Saint-Louis.